Our government doesn’t work. Shocking. But before we shut it down, the least those Bozos on Capitol Hill should do is to vote to fund the military whether the government is shutdown or not; then just lock the doors. Just stop the make-believe attempts at resolving your differences and just be sure the troops get paid. There’s no sense in continuing the political kabuki theater we’ve been treated to. 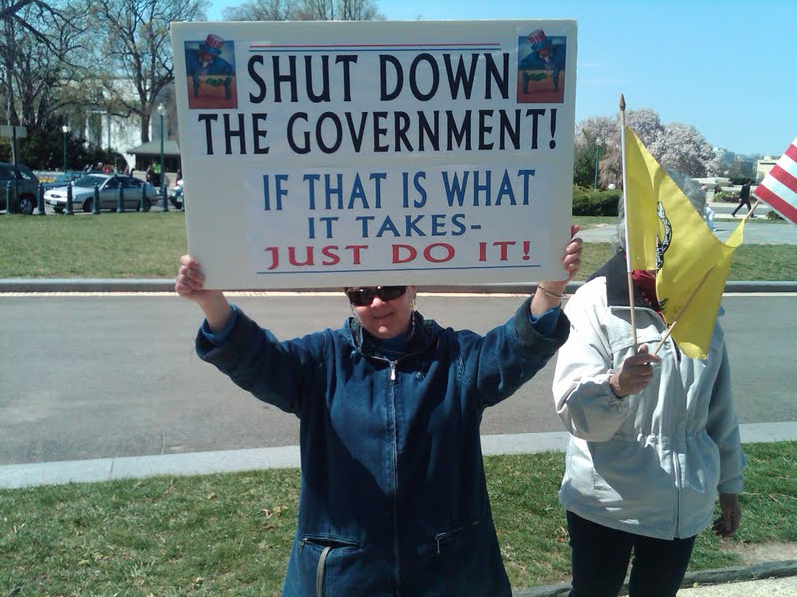 Shutdown is the only answer. Send the politicians back home, every one of them. In fact, while we’re at it, send home the White House staff as well. Let the president go down to the White House kitchen and make himself a PB & J. Sure a shutdown would be a hardship to many government employees; that’s what you get when you vote these jokers into office and choose to be a government employee. Who wants to be a deck hand on a boat steered by an idiot? This might seem sort of harsh and perhaps it is. But it’s well past time we all got mad as hell and said enough of this crap. You cannot blame the Republicans. You cannot blame the Democrats. You can only blame yourselves. We’ve allowed this baloney to go on for years, perhaps decades. We’ve trained the monkey to smoke, so to speak, so we have no business complaining when it burns the carpet. Maybe if we all get a good dose of zero government we’ll be reminded that this is a government “of” the people and not “for” the elite in Washington. Perhaps if we get really angry we’ll actually put our collective foot down. Until then, if we have to wait for our passports; no one answers the phone at the IRS or our FHA mortgage application comes to a standstill it won’t be the end of the world. 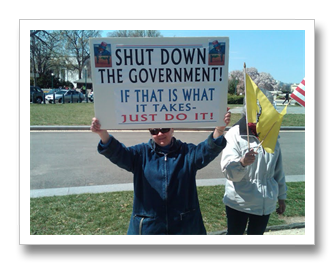 Inconvenience from a government shutdown doesn’t compare with living with a completely dysfunctional government. We created this monster government; time to let it die.